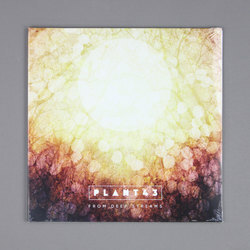 Plant43 - From Deep Streams. Vinyl LP. Bleep. Plant43, aka Emile Facey, has been forging electronic music of the highest standard since his first vinyl output in 2006. Since then, Facey has had popular releases on a plethora of labels, such as Shipwrec (the label on which FROM DEEP STREAMS will emerge), Semantica, AI Records, AC Records and CPU. His latest work is an ambient and soundscape construct not dissimilar to previous LPs in his oeuvre, such as 2014’s SCARS OF INTRANSIGENCE. A sundrenched wonder, FROM DEEP STREAMS has the aural capacity to convey the sensation of warmth in abundance. The heat seems to almost burst through the surface tension on dreamy numbers like ‘Cloud Iridescence’.